With BJP MP Subramanian Swamy launching a series on attacks on political leaders and technocrats alike - gaining massive criticism along the way - the Congress has accused Prime Minister Narendra Modi of backing Swamy. .
"PM Modi has brought him into the Rajya Sabha with the sole purpose of targeting certain people and with that causing disruption within the party. 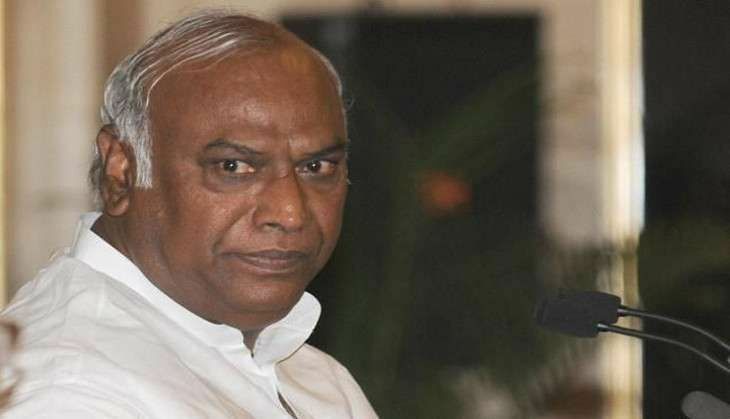 If the PM is still silent on this issue, then it means that he agrees with Swamy," Leader of the Congress in Lok Sabha Mallikarjun Kharge told ANI. Swamy came under attack after he posted on Twitter on 24 June saying, " BJP should direct our Ministers to wear traditional and modernised Indian clothes while abroad. In coat and tie they look like waiters." Even though he didn't name anyone, his tweet came soon after Jaitley was featured on TV channels wearing a coat and tie while meeting officials in Beijing. However Swamy later said that his tweets on the matter had been taken out of context, adding that he thought that Jaitley looked quite good in western clothes when he travelled abroad. Speaking to the media, Swamy said that he had always targeted politicians in western threads when they travelled abroad, even during the UPA regime. "This is part of bharatiyakaran. I have always been in Indian clothes and I have always practiced what I preach. It was not aimed at anyone else. Actually Jaitley looks very good, he looks like an exception," Swamy said.